Backpacking is the ultimate escape. Nothing but you and what you can (and want to) carry on your back. Each night you fall asleep to the nocturnal noises of nature. Mid-night potty breaks are often accompanied with views of a bright moon, slightly eerie shadows and sometimes shooting stars reflected in cold lakes. Dawn brings new light, bird song and often mirror-like reflections in still water. Food never tastes better and I never feel more alive. My parents introduced me to backpacking at age 3 or 4. After a successful first trip, they bought me a tiny blue backpack and the next year I began by carrying my own clothes. I have only fond childhood memories of our time in the woods, swimming in freezing lakes, looking for frogs and crystals, exploring new areas, gathering firewood, sleeping under the stars and having sometimes too-close encounters with wildlife. I am grateful to have had parents that instilled a love of nature in my blood and who taught me how to be a steward of the land. As an adult I look enthusiastically at topographic maps and add exciting sounding lakes to my wish list. Just looking at maps inspires a sense of adventure. 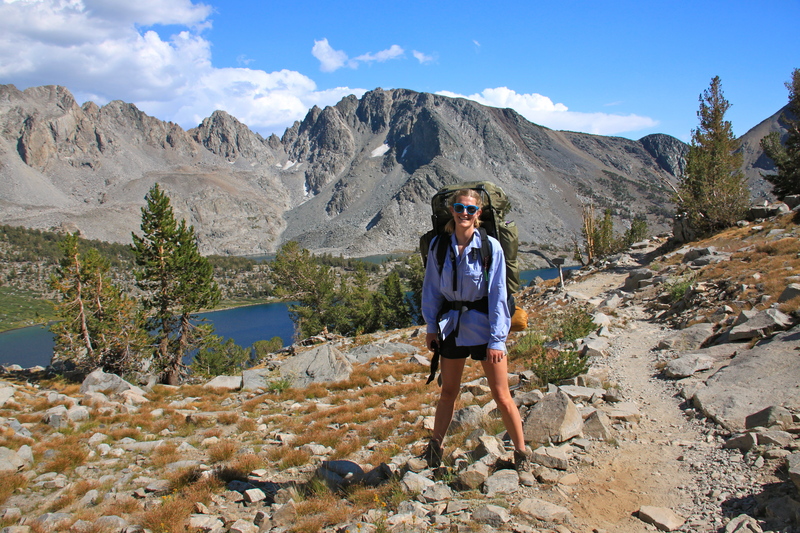 In my backpacking entries I will try to combine story with advice and trail tips. As always, feel free to ask questions in the comment section. Happy trails!